The clock is ticking down on whether Second Cup Coffee Co.’s pot partner will have any stores open for day one of legal cannabis in Canada. 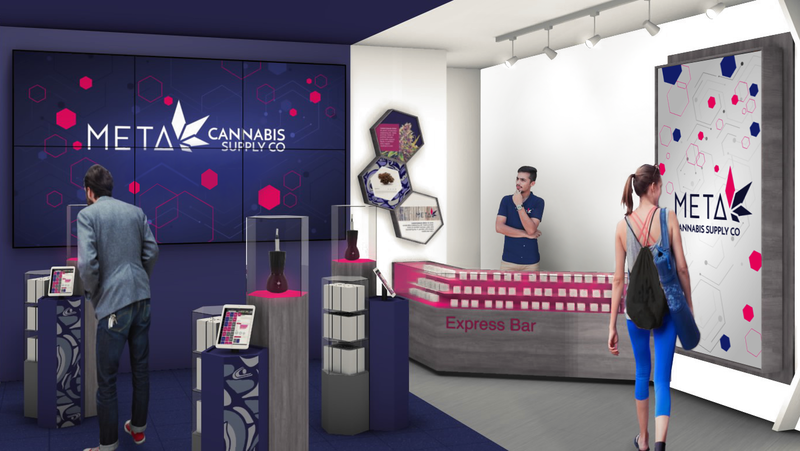 National Access Cannabis Corp. (META.V), which announced a “strategic alliance” with Second Cup on April 12 to give the Canadian coffee chain a toehold in the recreational cannabis market, says it has retail locations ready to go in Manitoba and Alberta under its Meta brand. However, with two days remaining before Canada’s big legal pot party, NAC is still awaiting an occupancy permit in hopes of finalizing its Manitoba license and opening a Meta location in Winnipeg on Wednesday. Alberta, however, will have to wait. “It’s looking like it won’t be day one,” NAC Chief Executive Officer Mark Goliger told BNN Bloomberg in an Oct. 5 phone interview, of the company’s chances to open a pot shop in Alberta. NAC has applied for 37 licenses with Alberta’s cannabis regulator for retail locations, matching the province’s per-company cap. Once the licenses are acquired, NAC will operate in the province with a blend of Meta stores (for which 12 licence applications are out) and the NewLeaf Cannabis brand (the remaining 25). The company closed its acquisition of NewLeaf on Sept. 11. It also has filed applications for 14 planned stores in Manitoba. Despite questions over whether its stores will be open Wednesday when pot is finally legal, Goliger downplayed how impactful that day would be on the Canadian pot market or its consumers. “As much as we’d like to have fanfare and fireworks and confetti cannons because we’ve hit the magical date that was picked out of – relatively – the air, it’s a poor measuring stick, because it’s not truly industry reality,” he said. Goliger called his company’s partnership with Second Cup “active and involved,” and added that the two companies have met multiple times a week over the past six months to discuss potential locations and the necessary steps to convert existing coffee shops into Meta stores. NAC would not comment on the amount of Second Cup sites it would like to convert to pot shops, but Goliger said that it’s unlikely the two brands would be able to share retail space without a clear division. “What we would have to do is take over a Second Cup location completely, or devise a wall down the middle of it and have two different entrances for what would be two different standalone businesses,” he said. Second Cup chair Michael Bregman joins BNN's Paul Bagnell to discuss the coffee retailer's surprise move to break in into the marijuana sector. Second Cup declined BNN Bloomberg’s requests for comment. However, in an April 12 interview with BNN Bloomberg, Michael Bregman, the company chairman, said he was excited about the company’s potential to participate in the recreational cannabis market. Goliger says NAC’s retail strategy has exercised a lot of patience with its planned retail locations as the company pins its hopes on license applications and industry-wide concerns about supply. Supply is one area that Goliger says has led him to some restless nights. He added that supply is an industry-wide concern, calling it a “massive challenge” across multiple provinces. Goliger said that the entire industry will need to view legalization as an industry that extends beyond Wednesday’s recreational rollout. Additionally, Ontario, the country’s most populous province, will only allow online sales of marijuana and has forced private bricks-and-mortar retailers to wait until April. Goliger notes the opportunity in Ontario outweighs the risk not being available from day one. “When you look at Ontario, there could be 500 to 1,000 stores in Ontario and when you look at the real estate, there’s a lot of great urban [space] in the GTA and the Greater Hamilton Area… but then there’s a lot of suburban. More suburban than any other province by far,” he said. Goliger believes that Ontario’s plan has forced many of its municipalities to prepare in advance for what areas may become available to retailers, if they choose to allow pot to be sold within their city limits. Ed note: NAC opened a Meta store on Pembina Highway in Winnipeg at 5 p.m. local time on Oct. 17.